Friday, Apr. 12, 2019, 2:30 – 4:30 p.m. 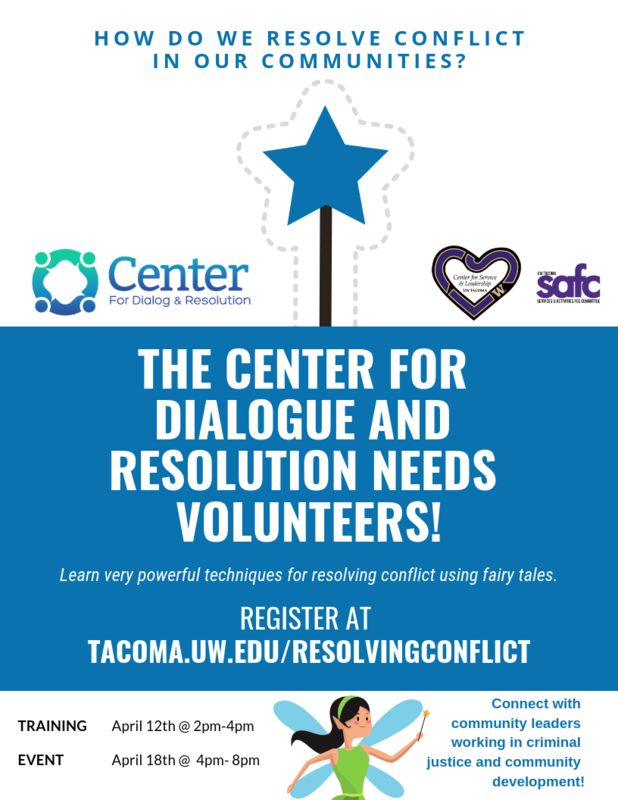 The Center for Dialogue and Resolution serves the community through mediated dispute resolution consultation sessions. This saves time money and builds stronger communities. It empowers relationships to confront and resolve their conflicts. By empowering relationships to resolve conflict 75% of cases conducted through the Center are resolved before going to trial or small claims courts. By volunteering we will be assisting with their open house which is designed to bring to life the power of mediated resolution. We all face conflict in our relationships.